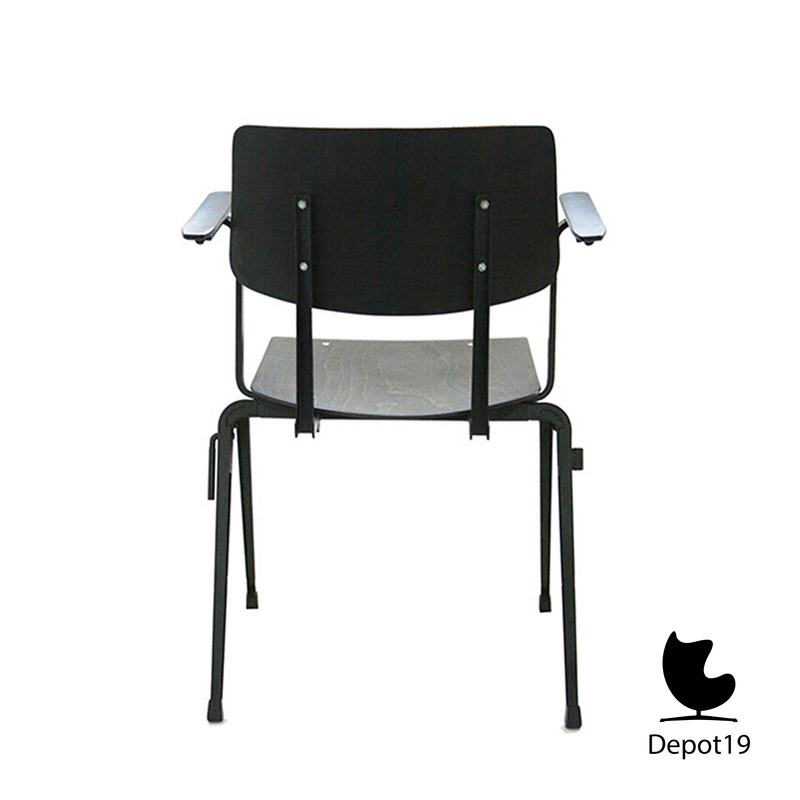 Industrial Dutch Galvanitas school chair with armrests. 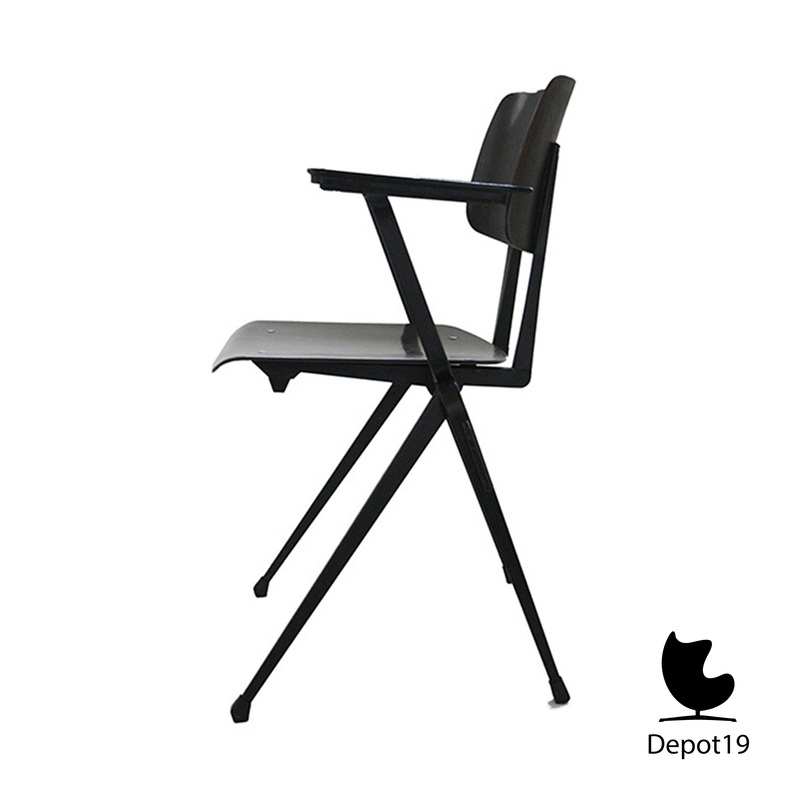 School chair with pyramid frame, designed in 1967s by Galvanitas inspired by the pyramid chairs of Wim Rietveld and the chairs of Friso Kramer. 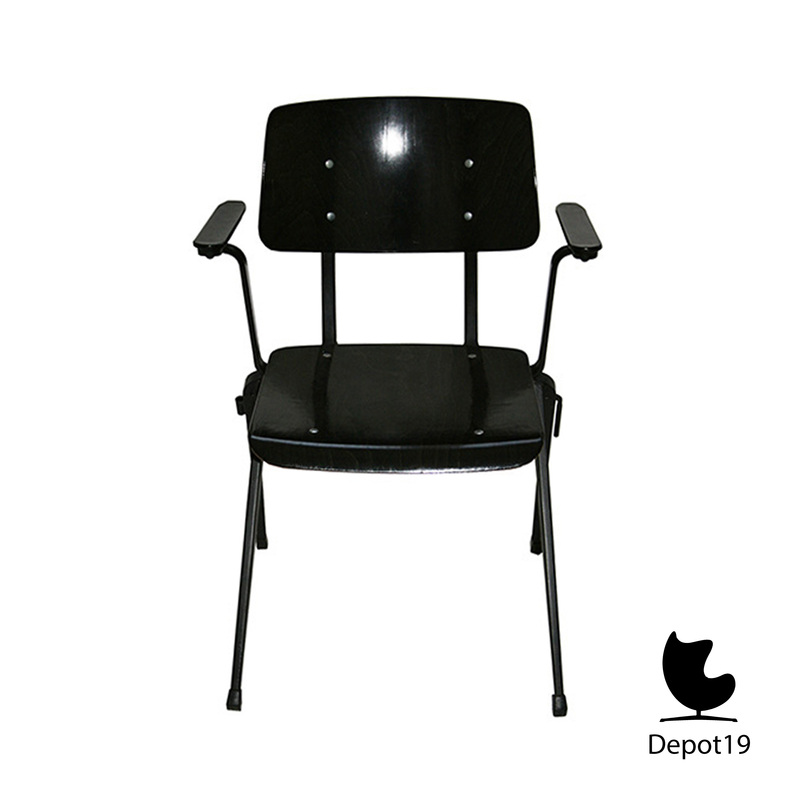 The chair is coproduced by Galvanitas and Pagholz (Germany). 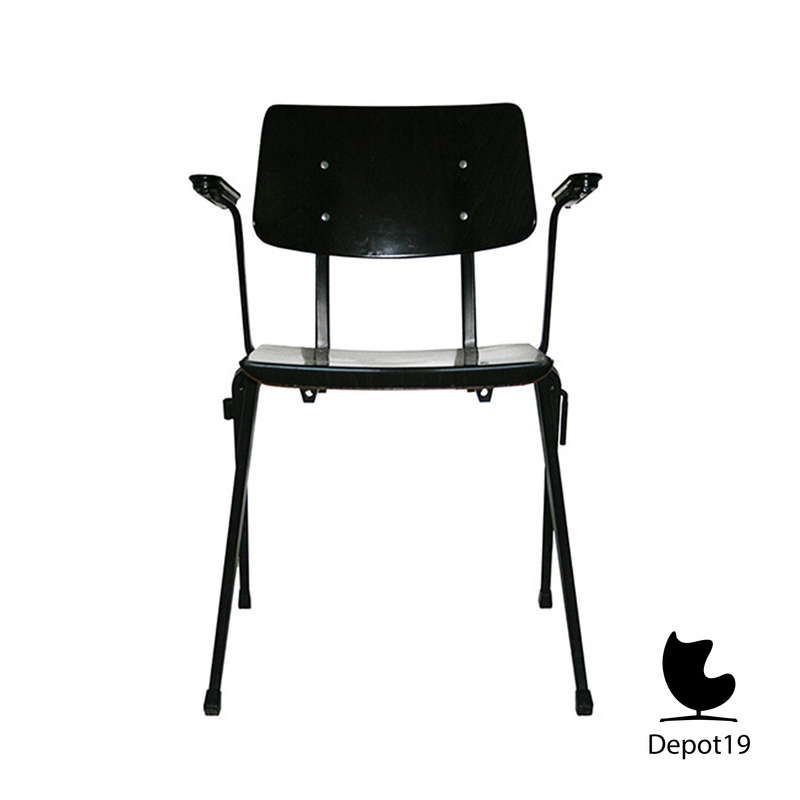 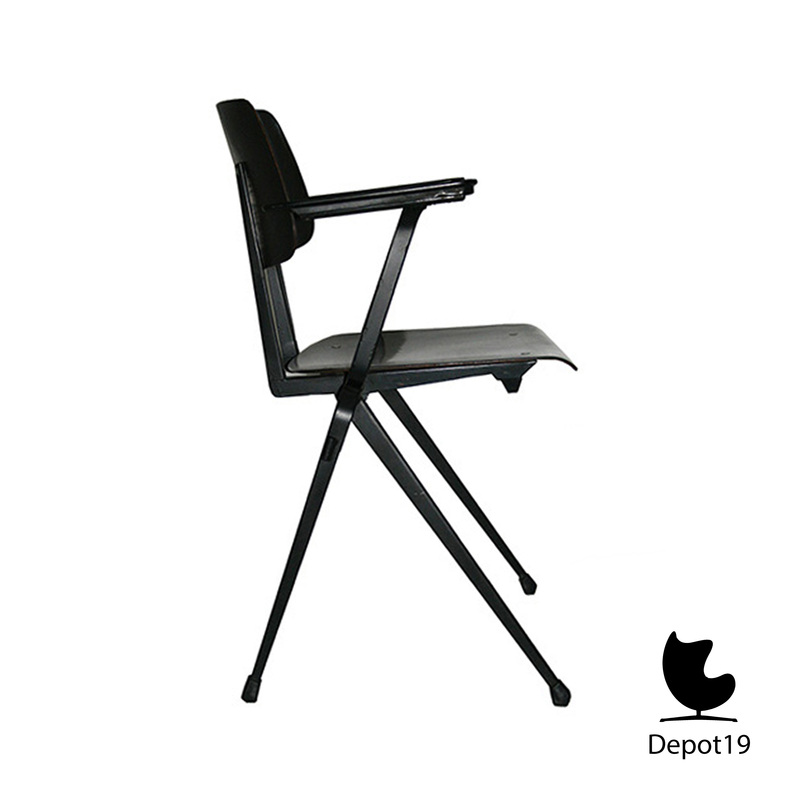 De frame is made of black folded metal, with a almost black plywood seating. 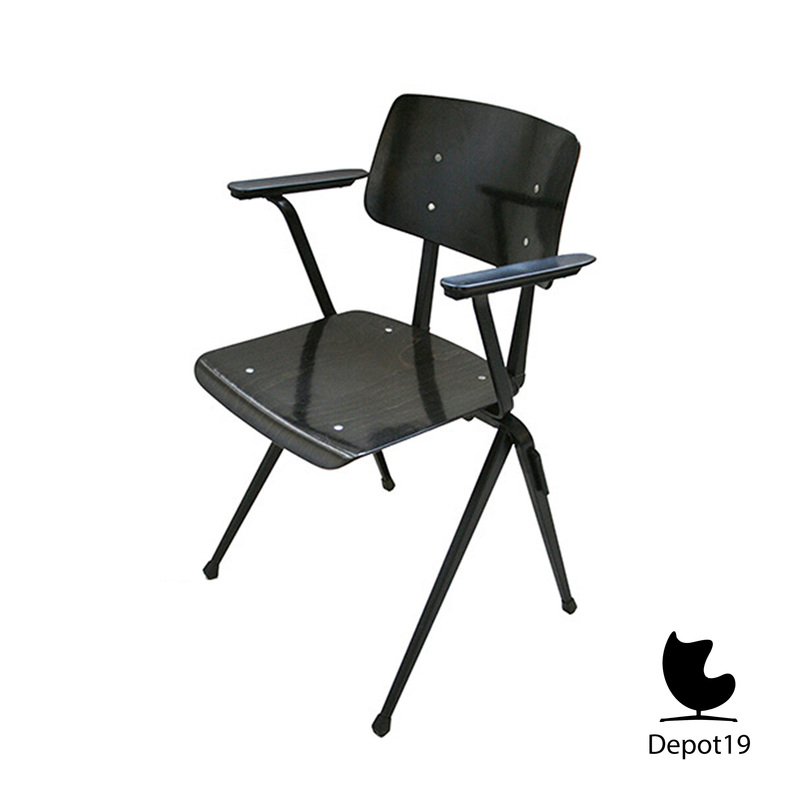 In an excellent vintage condition.